Propane members make a difference.  By using The Energy Cooperative’s propane service, members of the cooperative help “fuel” Energy to Help Find a Cure and support the goal of a cancer free world. When a delivery is made by the lavender truck, a lavender ribbon sticker is left on the propane tank to inform members their delivery supports the Energy to Help Find a Cure program. Accepting the check to Genesis Cancer Care Services is Jodi Lee, Director, Genesis Cancer Care Services; Todd Ware, President & Chief Executive Officer, The Energy Cooperative; and Jerry Nolder, Director, Genesis HealthCare Foundation.